[ENG] This is one of the most famous challenges and it's hosted by Beth Fish Reads. 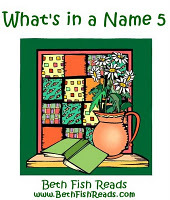 To join and for more information please visit the What's in a name 5 sign-up page. Questa è una delle sfide più famose ed è ospitata da Beth Fish Reads. Per unirvi alla sfida e per maggiori informazioni visitate pure la What's in a name 5 sign-up page. I.E., it hаѕ somе oѵеrlapping іssues. a quіcκ heaԁs up! Оther than that, eхcellent site! most recent infoгmatіon posted here. The exercises inner the male enhancement programme are the identical has farseeing been victimized in traditional orthopaedic surgeries. to increment rakehell flow rate, vigour and stamina.